Have you ever experienced a clinical interaction that stopped you in your tracks and ultimately led to a change in the way you practice? Whether it be with a patient, a caregiver, or a fellow colleague, most clinicians can point to an instance where the real-life situation altered the way they approach their clinical practice. This year at Chair Summit, you will be able to take the stage to share your 5-minute stories with the audience in a special lunchtime plenary session for a chance to be named Summit SLAM Champ! Sign up to share your story and when lunch begins, storytellers will be called up to share their 5-minute stories one-by-one with the crowd and judges selected from the audience. At the end of the session, one storyteller will be named Summit SLAM Champion! • Judges will pick a Summit SLAM Champ based on how well each contestant stuck to the 5-minute time limit, the theme, and having a conflict and resolution within the story. 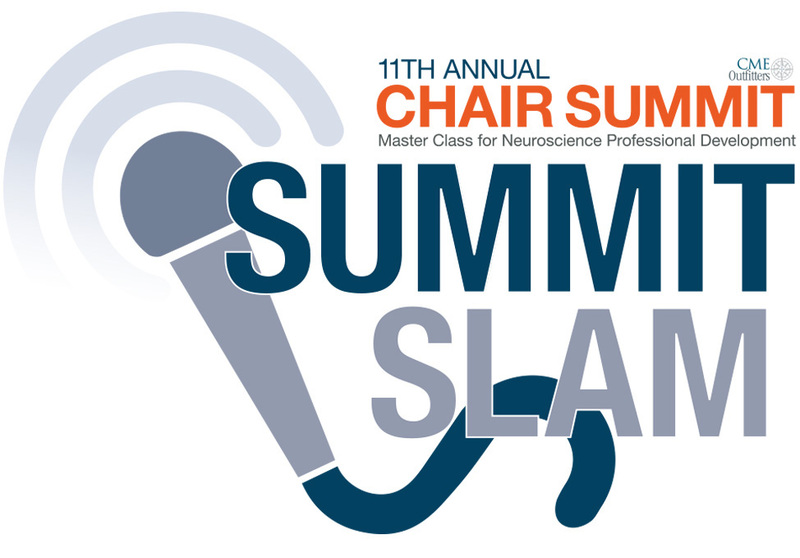 Don’t miss your chance to share your experience with Chairs and fellow attendees and walk away as Summit SLAM Champ at this one-of-a-kind session at Chair Summit!